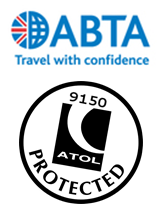 An award-winning independent travel agency of 25 years and our experienced team boast a combined experience of over 200 years in travel which means you are in safe hands. As an independent agency we can offer a personalised and bespoke service while offering excellent value for money. Loganair have appointed The Travel Company Edinburgh as their agent to bring you the best trips to Scottish destinations and beyond. From Barra to Islay, Campbeltown to Wick, Inverness to Dundee, Norwich to Bergen; we've got you covered.